Here’s a roundup of “Healthy Lunch Ideas in 20 Minutes or Less” that I hope will be helpful for you. As always, I look forward to hearing your comments and your own suggestions! Please join me on Facebook to get our latest updates. Offer whole wheat crackers, leftover meat bits such chicken or turkey, and cheese for your child to make their own ‘Lunchables’ style meal. This will allow them to feel like they have more control over what they eat but you’ll still be providing healthy alternatives. The pre-packaged choices really aren’t that healthy, but that doesn’t mean you can’t offer something similar from your own kitchen. Sandwiches are quick to prepare and the possibilities are almost unlimited. Choose a whole grain variety for healthier bread. Again, you can offer the ingredients separately so they have the choice of making a sandwich or eating the ingredients individually. Sesame seed, almond or cashew butter instead of peanut butter sandwiches. This might be a good alternative for those with peanut allergies. Spread fresh goat cheese and sliced tomatoes on rice cakes. Make tuna salad sandwich wraps. Wrap them individually and then place them in the freezer overnight. When you take them out to put in your child’s lunchbox, they will thaw and be ready to eat when lunch time comes. * Chicken breast and tomato * Roasted turkey and lettuce * BLT (bacon/lettuce/tomato) * Mac ‘n cheese and bacon * Beef strips and veggies * Bologna and cheese * Chicken salad Leftover dinner rolls cut in half will make tiny buns just right for little hands. Fill with sliced meatballs, turkey ham and cheese, egg or chicken salad. Add a little container of dipping sauce or their favorite condiment. Little mini bagels can be spread with hummus or peanut butter and paired with string cheese and mini sized pretzels. Using a hot dog bun, make them a mini-hoagie. Pile on some meat and cheese and top with sautéed peppers and onions. Send a container with olive oil and vinegar to pour on just before eating so the bun doesn’t get soggy. Toss leftover plain pasta with a few drizzles of olive oil. In the morning add cheese chunks, snap peas, bell pepper slices or whatever vegetable your child likes. Roasted or grilled vegetables dressed with vinegar and olive oil or a small salad with dressing on the side. Add some chicken chunks, cheese squares or whole wheat crackers. Wrap up a piece of leftover chicken, add a container of coleslaw and a roll. Wrap a piece of turkey around a cheese stick and include a condiment for dipping. Add some whole grain pretzels and a small piece of fruit. Alternate cooked chicken with raw vegetables on a skewer. Lay on a piece of aluminum foil, drizzle with honey mustard and wrap tightly. – Freeze juice boxes if you’re sending juice to school with your child for lunch. The juice will thaw in the hours before lunch and it will keep your child’s food cool. You can also use the same idea with other beverages and see how they quickly they thaw. – Make a healthy snack mix. Toss together dried fruit, unsalted nuts, carob chips and pretzels. If you make this once a week and put it into single size servings, it will be ready when you need it. – Include fresh fruit. A small bunch of grapes, a cut up apple, banana or other fruit will help take care of your child’s sweet tooth and be a healthier choice than dessert. (When you bring fruit home from the store, wash it, cut it up and the place it in snack size plastic bags. It will be ready to go.) – Throw in a snack sized bag of whole grain chips, baby carrots or small pieces of celery with dressing. – Include some sunflower seeds or nuts. – Add grated carrots to some BBQ sauce in a container along with a bag of chips. – Add a container of fruit cocktail for dessert. It’s not surprising that most children feel like they’re starving when they come in from school. School lunch times are often earlier than noon and by the time they complete their afternoon at school, they will have already digested their lunch and will be ready for something else to eat. Here’s a few suggestions… Fresh Veggies & Dip – Fresh veggies are a great option. You want to make sure you offer a low fat/low calorie dips. You can use fresh celery, carrots, broccoli or other fresh cut veggies. Ants on a log – This is an easy option where you stuff celery with peanut butter and top with raisins. Younger children seem to love this option. Egg Wedges – Take hard boiled eggs and cut into wedges. Put some cheese on top or pieces of fresh fruit. 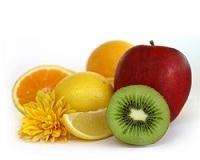 Fresh Fruits – Try to make sure you have a supply of apples, oranges, bananas and other fruits available. Ask your child which fruits they prefer and give them a couple to choose from at snack time. Note: Water is best for drinking because milk and juices can be very filling. With your evening meal coming up, you don’t want to your child to feel too full to eat. Teenagers can prepare their own snacks. All you have to do is make sure the food is available and necessary items for preparation. ==> We had fun making our own “Wendy’s Frosties” right at home this week for Labor Day. * Prepare a picnic — Even if you go out to the deck to eat it. Remember to include the “special” touches such as a cheerfully-flowered or checkered plastic tablecloth (you can get these at any dollar store); or little paper umbrellas for your drinks or fruit salad). Planning involves allowing your child to think up items like paper plates or pick that flowered tablecloth. If you’re thinking of ways to turn daily cooking into educational lessons for your children, you don’t have to look far — the educational aspect is practically built in. You also have the opportunity to teach your children about nutrition and healthy eating, in a natural, fun way. Let’s take a look at what’s involved and what you’re really teaching them… * Mathematics — Addition and subtraction are a natural part of cooking, especially when you double or half recipes to fit the number of people you’re planning to serve. Cooking also involves working with measurement systems — for example, a child will quickly learn how to convert ounces to milliliters if you have measuring cups and spoons in your cupboards and drawers displaying both systems. 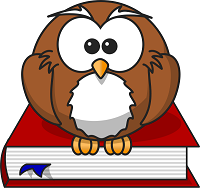 * Reading — Accuracy is essential in cooking so reading extra-carefully through the recipes helps ensure success. There are some delightful cookbooks for younger children designed to assist them with reading, simplifying processes and ingredients and prompting them with imagination-stimulating pictures. * Science — We’ve already mentioned teaching children conversion between the U.S. and metric measurement systems through cooking, but there’s more to science and cooking than that. You can teach them about food safety (bacteria, washing and storage.) And chemical reactions between ingredients can not only instruct, but entertain kids. (Try foods that suddenly fizz or change color with the addition of a simple ingredient.) * History — One excellent way to stay in touch with your roots lies in teaching children traditional recipes; either those handed down in your family, or from your ethnic heritage. As you prepare the recipes, for example, you can reminisce about grandparents or great-grandparents and their challenges or daily lives in another country (and another world). You can teach social history lessons by talking about differing expectations or rules in “the old days” as you prepare the food. You can also make ancient history seem immediate and alive by talking, for example, about honey found in the tombs of Egyptian pharaohs as you are actually spooning honey into a recipe. 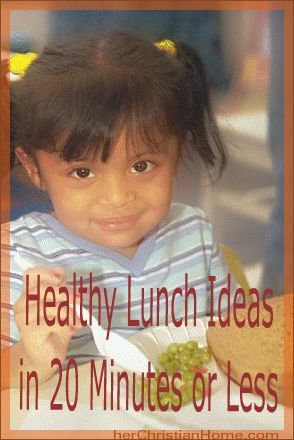 * Time Management — Through cooking, children learn basic time management and multi-tasking skills. They learn to organize ingredients in such a way that everything flows smoothly, and this magical flow can feel rewarding in itself (and become a way of thinking). * Creativity — There is nothing more creative than putting together a meal and making it fun, nutritious and visually appealing. Giving children a choice of garnishes or ingredients can really stimulate their creativity; as can the kinesthetic “touch” element of cooking itself. Playing with ingredients or decorating a cake becomes an art lesson as you explore color and texture together. And you can make play dough or bath bombs from recipes, rather than just food. (Encourage your children to try unusual combinations of ingredients, with the emphasis not on success but on curiosity and exploration.) In short, cooking sets children up for success in a natural, fun way; building confidence; teaching practical lessons; endowing important life skills — and immediate rewards. Tired of spending a fortune on disposable sandwich and snack bags? It’s not only expensive; each plastic sandwich bag ends up in landfills. They take decades to degrade and just aren’t good for our environment. Each day more than 20 million single-use plastic sandwich bags end up in U.S. landfills. 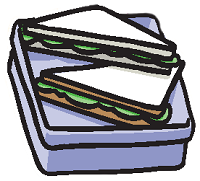 This year you can send your children to school with reusable sandwich and snack bags. Lunch Skins are reusable sandwich bags. They come in fun colors and patterns so boys and girls of all ages will feel confident at the school lunch table. They’re sold in sets of three. Each set contains two sandwich bags and one snack bag. The bags are dishwasher safe and easy to clean. So easy that your children can clean them without your help! And they’re safe to use. They’re moisture-proof, lead-free, bpa-free, and phthalate-free. You can pack your children’s lunches and feel confident that they’re safe. Each bag is hand sewn and has a hook and loop velcro closure. If you use three disposable bags a day, at twenty cents a day, you’re spending about sixty cents each day or more than $200 a year. LunchSkins currently cost $25. Even if you buy 5 complete sets or 15 bags, you’re saving more than $75 annually. It’s a huge savings and a great way to reduce your families footprint.